Property investment has long been one of the more successful strategies to achieve financial independence, and yet statistics show only about 20% of us do it. true if the capital gain on the property is greater than the cost of holding it. 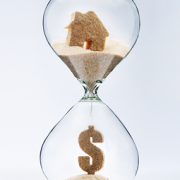 It appears about 80% of us find it too difficult to purchase an investment property. The good news is that if you already have your first property – either your home or an investment property – you could already be on your way to your NEXT property investment. monthly repayments – particularly in an investment scenario where rent could cover a good proportion of repayments – the challenge is that many of us find it difficult to save the deposit. in value. Perhaps you’ve also made additional loan payments? Either one or both of these factors may have created equity in the property. Rather than saving the deposit you could now borrow the deposit by using that equity as security. So how much deposit do you potentially have in the equity of your first property? Most lenders will provide funding of up to 80% of the property value so the available equity is the amount between 80% of the property value and your remaining loan balance. 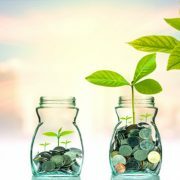 Where wealth creation is your aim you should consider channelling all your surplus funds to paying down your non-deductible debt (or place these funds in an offset account to minimise non-deductible interest). time. This availability may allow you to move quickly with the purchase of an additional property. maximise your financial position. As your finance specialist we can certainly help you with that! of maintaining the property. This is commonly known as negative gearing. This loss can be claimed as a deduction in your income tax return. You are also able to fund this income loss through a loan with the interest costs/charges on the loan also being tax deductible. Rather than using your ordinary income (that could otherwise be used to pay down non-deductible debt) you could use the equity in your first property to apply for a line of credit. The line of credit could then pay for the portion of the operating expenses that are not covered by the rental income of the property. an investment property when they are still paying off their ‘home’. Perhaps you’re not too sure what steps to take to put yourself in a suitable financial position to purchase an investment property? Well you’re not alone! We welcome the opportunity to discuss your concerns and assist you to make decisions suitable for your individual circumstances. Feel free to call the office for a chat at any time. From pushing supermarket trollies to owning half-a-dozen properties – all without a dime of family support. 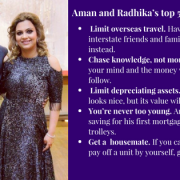 Aman and Radhika Bhandari have proven that anyone can a buy property – or six – through determination, goal setting and some sacrifices. The couple’s path to achieving the great Australian dream started when Aman, then-17, arrived in Canberra from one of the most populated cities on earth, New Delhi. Ask Aman what that was like and he can’t help but laugh. “It was a massive shock. There were no people!” he says. To keep himself busy, Aman spent the next five years studying and working, hard. The hard work soon paid off and at just 23, Aman bought his first property – a two-bedroom unit in Sydney’s Pendle Hill. His CV now reads Director of Solution Sales for global software company SoftwareONE, after working up through the IT ranks of Telstra, Fujitsu, Coca-Cola Amatil, Lloyd’s and UXC. When Radhika arrived in Australia at age 20 she was also keen to study, work hard and build a new life. For her and Aman, it was a meeting of minds and ambition. “The first thing Aman asked me was ‘do you want to go back to India?’ And my response was ‘no’,” she recalls. They got married soon after. Radhika and Aman initially shared his Pendle Hill apartment with a flatmate. But they soon decided they wanted a place of their own. “We promised ourselves we wouldn’t visit family in India until we had bought a house for ourselves. And we didn’t go back for the next five years. We made everyone visit us!” recalls Radhika. Each property the couple has purchased has been through leveraging off the property before, scrupulous saving, and the trusted lending advice of Indigo Finance. The Bhandaris now boast a property portfolio totalling roughly $5 million across Greater Sydney and Melbourne. But their real pride and joy? Well, that honour goes to their two-year-old son, Aiden. They believe their story proves that, despite the intimidating cost of properties on the market, Australia is still the land of opportunity for any new family. “I tell everyone Australia is the place. If you put your heart to it and seek good advice, you have all the opportunity that you want,” says Aman. If you’d like our help in fulfilling your own Aussie dream, call us on 02 9194 2260 or email enquiries@indigofinance.com.au. Will you be part of the 20% OR will you be in the 80% of Australians who will need to rely on government support at retirement? • You most likely have some good equity in your existing property. • Financial institutions support lending to investors if they meet their lending criteria. We can help you look at property investment options suitable for your own financial situation now and in the future. We can calculate how much you could afford to borrow to invest or explain how to use your home equity to allow you to get ahead financially with limited risk. http://www.indigofinance.com.au/wp-content/uploads/2018/03/IF-05-02-18.jpg 357 728 IndigoFinance http://www.indigofinance.com.au/wp-content/uploads/2017/01/indigo-finance-logo.png IndigoFinance2018-03-04 19:04:422018-03-04 19:04:42Think you need to be wealthy to invest?